Right To Play employs unique sport and play programmes to improve health, build life skills, and foster peace for children and communities affected by war, poverty and disease. Tailor Design created a large format poster that was used to recruit volunteers at national recruitment events. 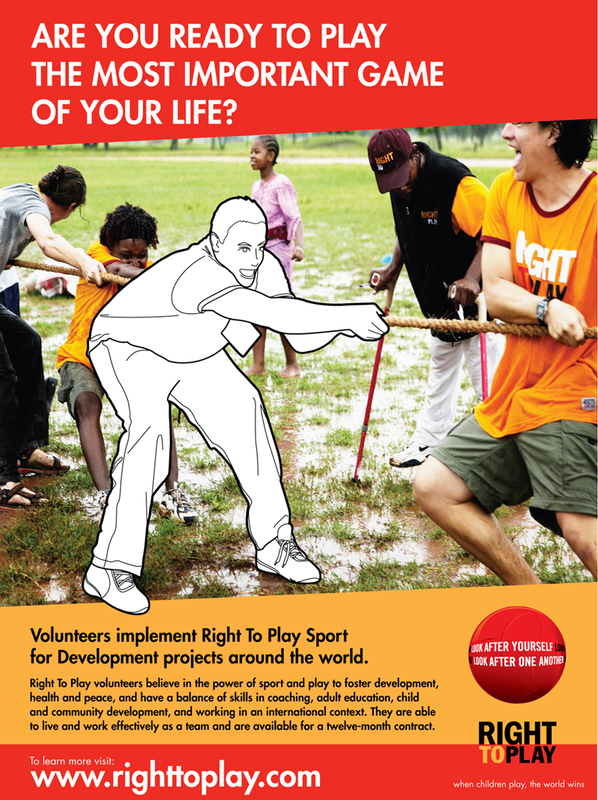 The poster design integrates photography and illustration to emphasize the role of the volunteer.